I've known the Taylor family for years. J. Paul was kind enough to indulge my desire to make his photographic portrait with the intention of creating a painting from it. Instead, I was rewarded with this photograph that stood all on its own. I feel honored to have had the opportunity and ability to capture the strength and dignity of this man who is so revered in our state. 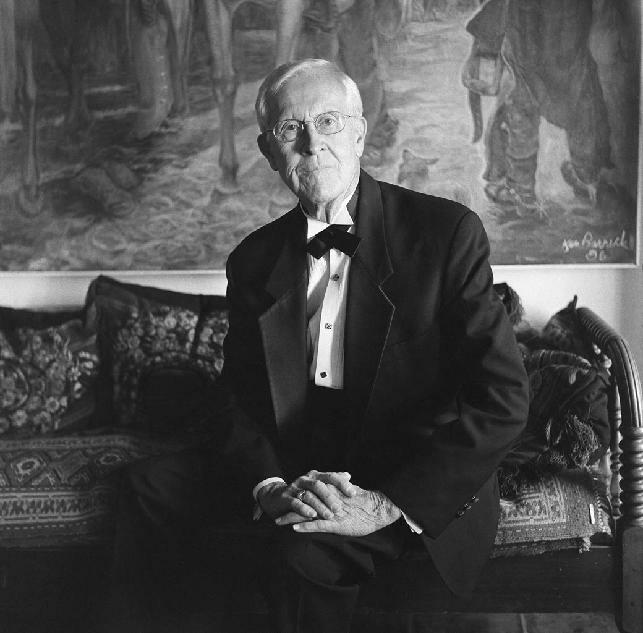 He is seated in his living room in Mesilla, New Mexico in front of a painting by Ken Barrick, wearing his tuxedo which features studs that are marks of his Papal order.